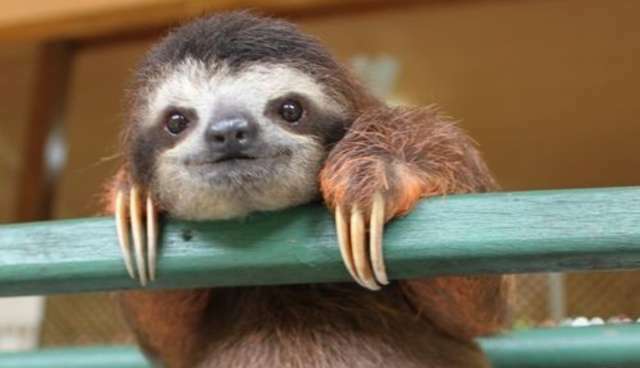 Justify your fascination with these super-slow (and super-cute) tree-dwellers. 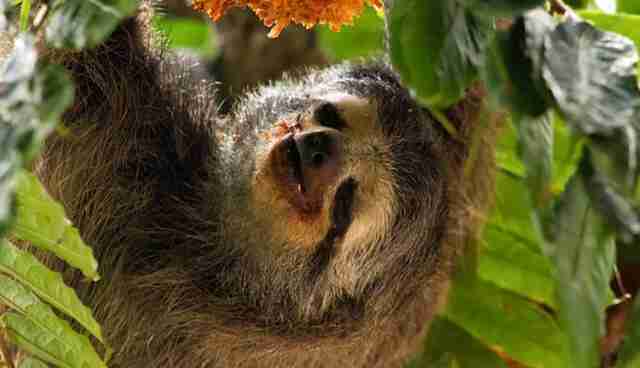 You are what you eat, and the sloth's diet consists almost entirely of energy-poor leaves from the trees that they inhabit. It can take up to a month to digest a single foliage-filled meal. In short, they don't have enough energy to promptly digest a diet that is low in energy, creating the life-long cycle of sluggishness. Their long claws anchor them in place among high branches -- and they even give birth hanging upside down. Their liver, stomach, and kidneys are anchored to their abdomen so as to prevent the weight from compressing their diaphragm (which would make it hard to breathe) as they hang upside down. 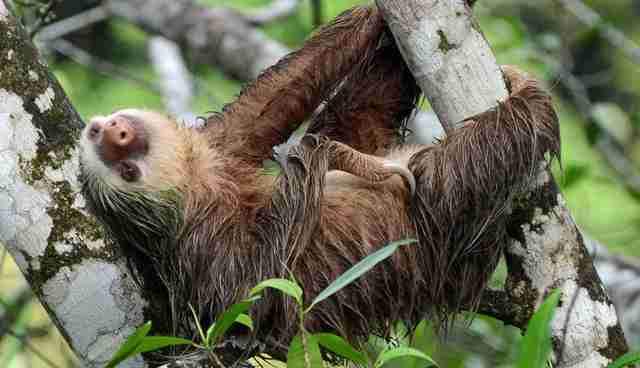 Sloths sometimes do venture to the world below -- to do their business. 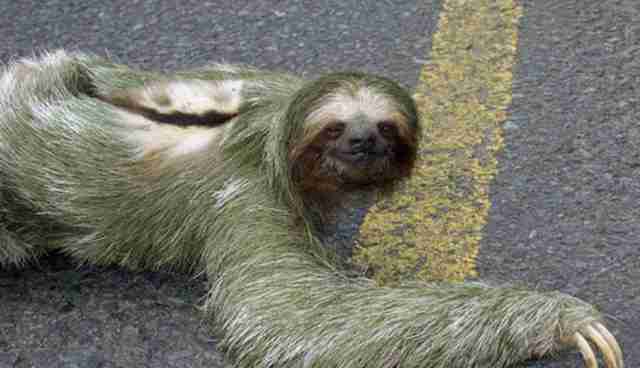 That's right, sloths answer the call of nature on the ground. They have little or no power in their back legs, so they drag themselves along using only their long-clawed front arms, which makes them enormously vulnerable to predators during their routine bathroom trips. The green algae growing in their fur acts as a concession stand for other animals, like the yellow-headed caracara, which feasts on the ecosystem growing in the slow-moving mammal's coat. Of the 74 fungi species collected from sloth's fur, three exhibited positive effects in battling human breast cancer strains, eight showed potential benefits in battling Chagas disease, and two conquered parasites that commonly cause Malaria. Much research remains to be done, but scientists are optimistic that these exciting discoveries could lead to major medical advancements in the future. 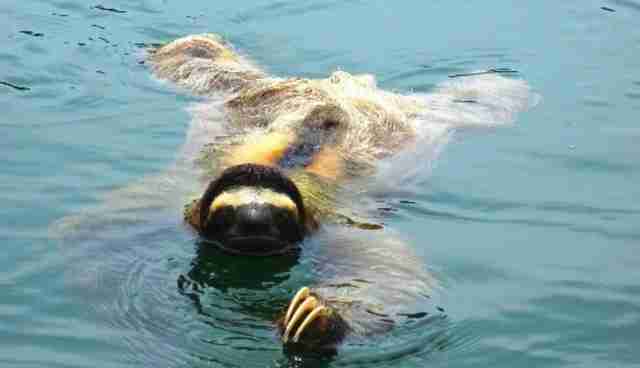 Using their patented sloth-y version of doggy paddle, they move through water up to three times faster than they move on land. 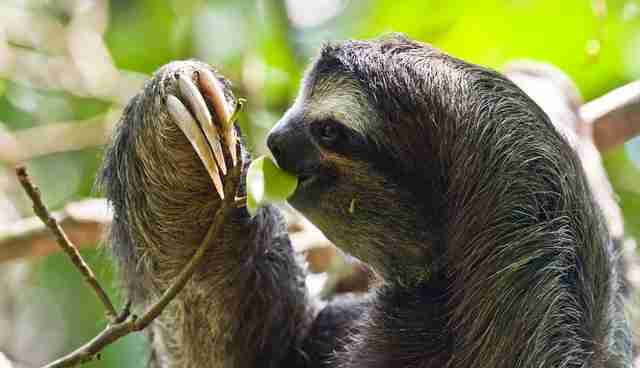 They can slow their heart rate to one-third of its normal pace, allowing sloths to hold their breath underwater for up to 40 minutes. 7. They have eyes in the back of their head. Sort of. 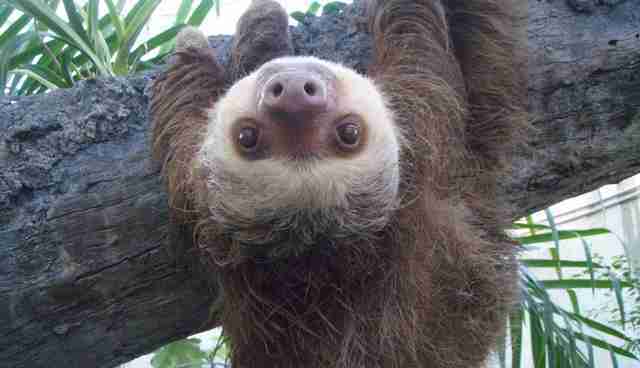 Thanks to extra bones in their neck, sloths can rotate their heads 270 degrees. 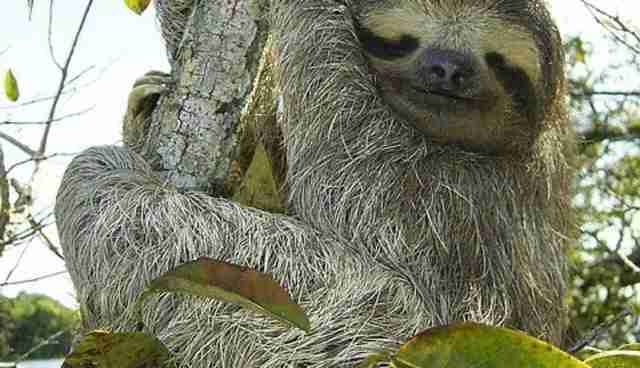 The pygmy sloth (critically endangered) and maned sloth (vulnerable) have both made the International Union for Conservation of Nature's red list. Both populations are declining due to poaching, habitat loss, and human interference. 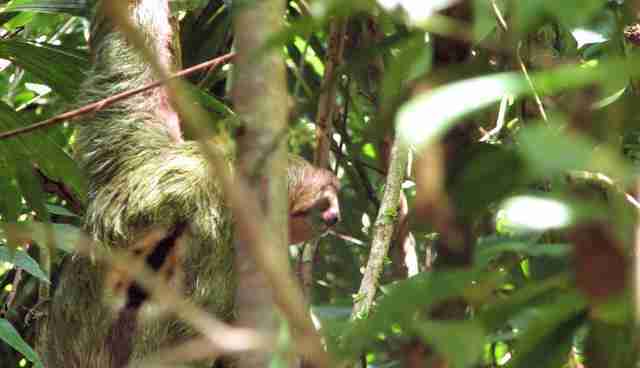 The World Wildlife Foundation is involved in numerous efforts to protect sloths. You can aid their efforts by joining their "Adopt a Three-Toed Sloth" program.